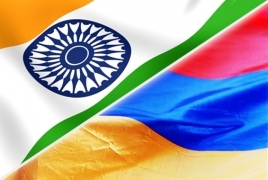 PanARMENIAN.Net - 1882 Indian citizens were granted residency status in Armeniathroughout the previous year. According to data provided by the National Statistical Service, 50 of the came to Armenia for family reunion, 1047 are receiving education, while 783 are working. Two Indian citizens, meanwhile, were granted temporary residency status to launch entrepreneurial activity in the country. The overall number of foreigners who got permanent residency status in Armenia in the reporting period stands at 5435, including 971 Iranians, 360 Iraqi nationals, 279 Chinese and 257 Russians.